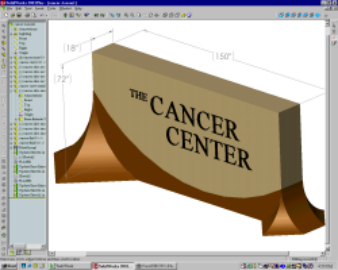 We specialize in accurately converting your graphic concepts into quality signage. Every project goes thru a rigorous CAD engineering and review process. Special projects are prototyped in a 3-D computer modeling program which can output parts directly to manufacturing.